For visually impaired users: Browse the streamlined version of our website. 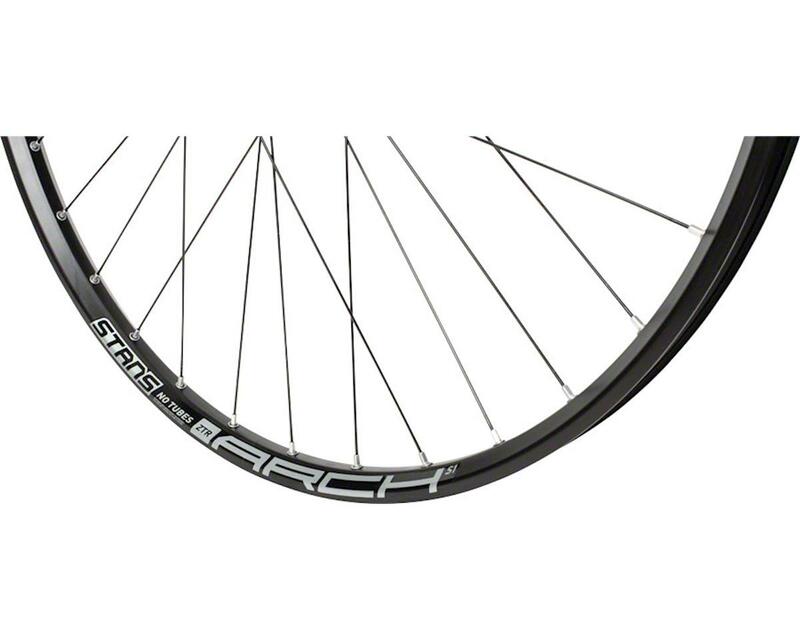 Durable enough to handle the most technical trails, yet light enough to rip XC laps, the Arch S1 is a very versatile wheel. This new Arch is designed to provide traction and control when running 2.25’’ to 2.50’’ tires. With 32-spokes front and rear, 6061 alloy rims, stainless steel rim eyelets, and easily replaceable standard spokes, the Arch S1 is made for maximum durability. The Arch S1 is built on Stan's faster-engaging, CNC-machined Neo hubs. For wherever you ride the new Arch S1 will be ready to handle it all. ISO Diameter 622 / road / 29"
Powered by AMain.com, Inc. Copyright © 2019 Performance Bike. All Rights Reserved. All original wording and photographs used on this website are the property of Performance Bike, and may not be used without prior written consent.